We all enjoy spending time outside, however the sun rays can cause some serious damage. Sunburn is caused when you have over or prolonged exposure to sun rays or UV light, making skin red, irritated and painful. If it is not treated on time, it can lead to peeling or blistering skin. It also doubles the risk of developing melanoma. 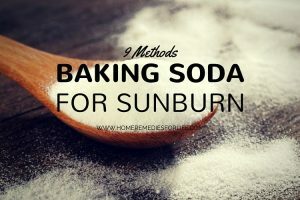 Baking soda is an effective home remedy to treat sunburn. It breaks down the proteins and acids to balance the pH levels of the body. Can Baking Soda Helps To Treat Sunburn? Its alkaline property provides a soothing affect on sunburn. Its antiseptic property heals the skin. It can help to soothe skin, reduce itching and inflammation. It has a cooling effect and helps to retain the moisture of the skin. It balances the pH levels (or) acid – alkaline levels of the skin to promote faster healing. The best way of using baking soda is to make a cool compress or have a bath with it, although here are some alternative remedies. Clean the affected skin with cool water. In a bowl mix 2 tbsp of baking soda and water to make a paste. Apply the mixture on sunburn with a cotton ball. Leave for 5 – 10 minutes then wash with cool water. Dry the skin and repeat this application regularly. Fill your bath tub with cool water and add 1 cup of baking soda. Stir well and soak yourself in the water for 20 to 30 minutes. Do not wash again with water and allow the body to air dry. Continue taking this baking soda bath daily. You can also add equal quantities (i.e. 1/2 cup) of cornstarch and baking soda into your bath. Or Add 1 cup each of baking soda and Epsom salt in a cool bath and soak yourself for no less than 10 – 15 minutes. Or pour 1/2 cup of rose water and 3 tablespoons of baking soda in bathwater and soak yourself. Or add 1 cup of baking soda and 10 drops of lavender oil in bathtub of cool water and soak for 15 – 20 minutes. Or you can mix baking soda and Epsom salt in water and soak a cloth in it, then put this on the sunburned areas. Combine water, witch hazel and aloe vera gel in a small bowl. Cover so that the mixture will blend and infuse for 2 hours. Now add baking soda and peppermint oil and mix well. Store in a cool and dark place for 24 hours. Apply this on the sunburn affected skin for 5-7 minutes. Store the remaining mixture in the fridge. Combine ¼ cup baking soda and cool water to make a solution. Pour in an empty spray bottle and shake well. Spray on the affected skin regularly. This helps to reduce the pain and inflammation and dries out the blisters, and salt kills the bacteria. Mix baking soda and salt together. Apply on the sunburned blisters. Let it sit for few minutes and then wipe it off gently. Combine baking soda and vinegar to make a paste. Apply on the affected skin before going to bed. Leave overnight and wash it off the next morning with cold water. Blend 2 cold cucumbers in a blender. Add baking soda and stir to make a thin paste. Apply on the sunburned skin and leave to dry for a few minutes. Baking soda soothes the itchy skin and acetic acid in apple vinegar gives a quick relief from pain. Mix ¼ cup each of baking soda and apple cider vinegar together. Add a few drops of essential oil like lavender oil, tea tree oil or peppermint oil into this mixture. Apply this mixture directly on the affected skin. You can also apply this in the form of a cold compress. Let it dry then wash off with water. Dry the skin and repeat the process regularly. Mix ¼ cup of baking soda with 7 drops lavender oil and of plain water and lavender oil. Apply on the affected skin with a cotton ball. Allow to dry for a few minutes and then wash with cool water. Add all these ingredients in a bath tub and add lukewarm water. Soak yourself in this bath water for few minutes. Or you can wrap these ingredients in cheesecloth and tie it to faucet for added aroma. Continue doing the process regularly. This process not only cures sunburn but also removes sun tan, dark patches and sun damaged skin. In a large bowl combine cold water, ½ teaspoon of baking soda and ¼ cup of rosewater. Stir it well and apply on the affected skin using a cotton ball. Follow these tips and precautions to get quick, safe relief from sunburn. Always do a patch test before trying these remedies. Do not apply apple cider Vinegar on open wounds. Do not leave baking soda for more than 10 minutes on sunburn. When a person suffers from sunburn, he should be immediately shifted to a cool place. Applying cold compress to the palms and feet helps to cool down the body. Discontinue baking soda remedy if you feels irritation. Always mix baking soda properly with water. Never use hot water in the mixture as this can be painful. Apply aloe vera or vitamin E oil on affected skin areas after use. Always allow a baking soda mix to air dry. Taking a lukewarm bath by adding few tablespoons of baking soda will help to loosen the skin and removes peeling skin. In case of extreme sunburn, consult doctor immediately. Other than these remedies, drink plenty of water, apply sunscreen lotion, wear long hats and loose clothes and have healthy diet. 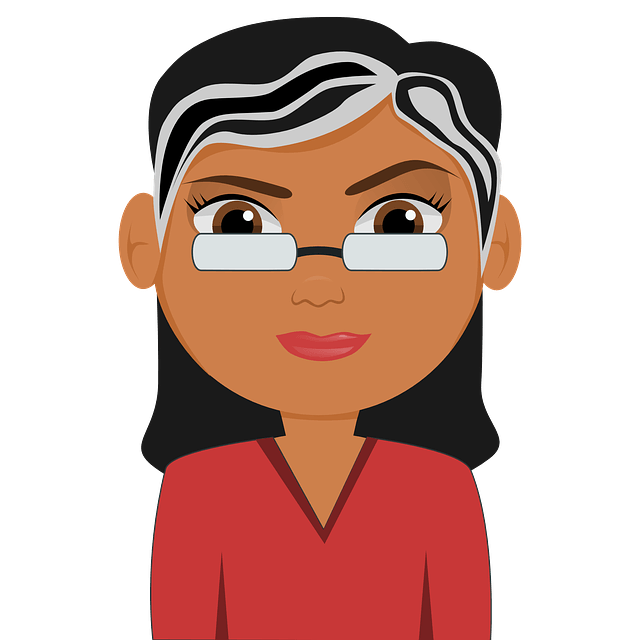 Please feel free to share your experiences with us!